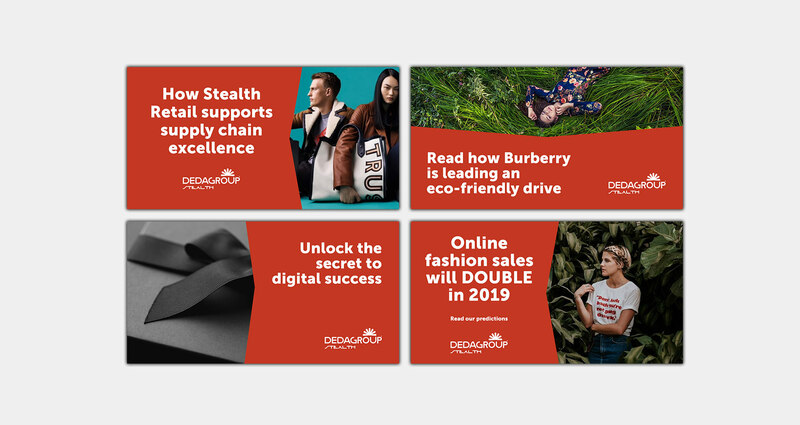 Dedagroup’s fashion fix campaign was tasked with both bringing tech stories to life in the media whilst bringing in solid sales leads from a new market. Here is how Fieldworks achieved this with PR, Content and Social Media. Dedagroup Stealth is a well-established Italian retail technology provider with a turnover of €29 million and more than 300 retail specialist employees. It works with leading luxury brands Gucci, Prada, Fendi and Versace supplying back-end software that enables the integration of sales information and production processes and supply chain. The tech crucially enables retail and wholesale companies to become fully ‘ominchannel’ as well as driving optimum value and efficiency from their businesses. From the factory to the store, the core product ‘Stealth Retail’ ensures data consistency and substantially reduces complexity. Knowing what their solutions can help retail brands achieve, Dedagroup wanted to crack the UK market, by demonstrating the performance-boosting power of their technology. Target audience: UK luxury fashion retailers (IT Directors, E-commerce Directors and Chief Technology Officers) that would benefit from specialist omnichannel software to become truly future-proof, and competitive enough to survive in today’s tough market. Industry commentators, influencers and journalists. 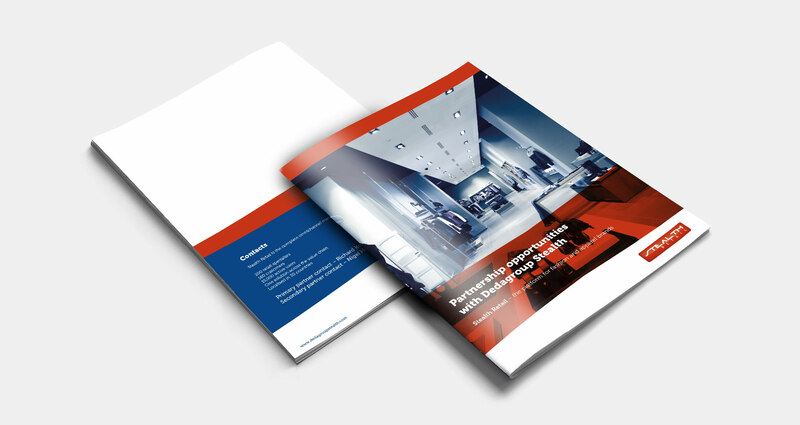 The strategy was to bring two ‘fashion fix’ stories alive with glossy, gated case studies, that would resonate with busy readers, cut to the quick of what Dedagroup’s tech can achieve, and spark interest from the retail trade press. The campaign needed to deliver leads, so that the sales team had contact details of interested parties. Too often retail technology is promoted without clear examples of exactly what it does and how retailers are using it day-to-day. Lead-generating case studies: Fieldworks rose to the challenge of presenting complex technology implementations in a readable way that taps into a pressing industry needs, and generates leads. This ‘problem-solving’ (hence ‘fashion fix’) content was gated – via Point Drive on LinkedIn, and on Dedagroup’s website, to ensure email addresses were captured. The content could also be leveraged for wider social media amplification and thought leadership articles for trade publications. 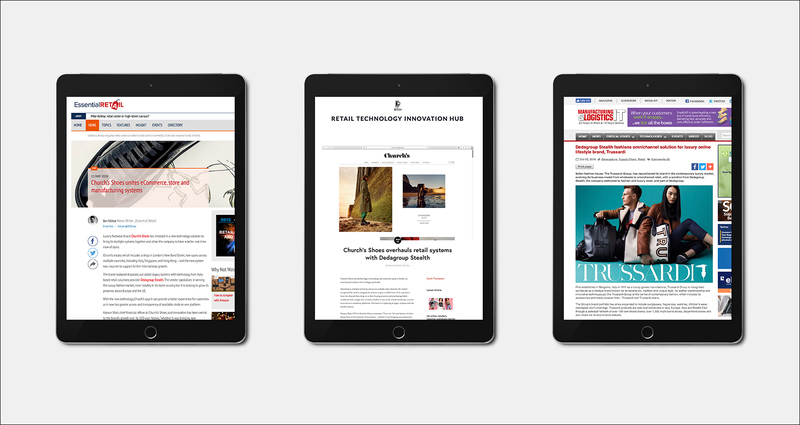 Over a 6-month campaign, this would ensure the insightful stories, and the Dedagroup name, landed in front of the people who matter – the top tech decision makers in UK fashion. 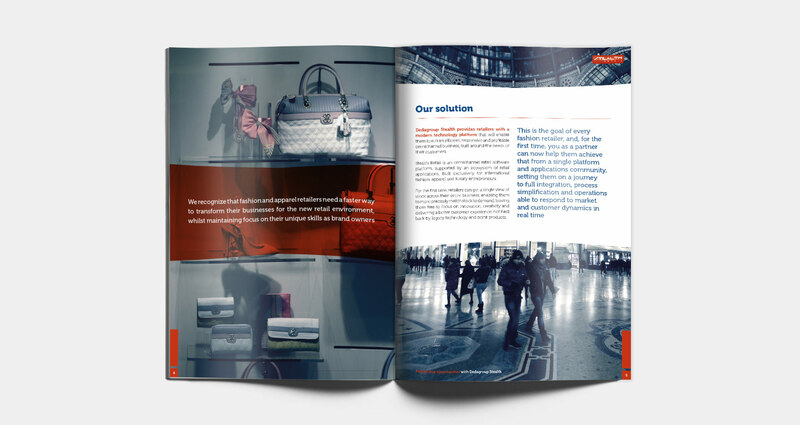 Church’s and Trussardi case studies were researched and written with a very clear focus on what operational problems the technology helped these luxury brands overcome, and the commercial wins. It was felt a high-profile UK brand name was essential, to resonate in the UK market, alongside a European brand. High fashion product images were used in the designs (and landing pages) to add catch attention. The SEO-optimised case studies were written to include the retailer’s voice and learnings, easy-to-digest bullet points summarising powerful business benefits, and direct quotes explaining the technology in simple terms, short and long term wins, ROI insights. Landing pages were written and designed to draw in readers, with snippets to spark interest, and a clear call to action: ‘Download now to learn more about this project’. In burst one, both case studies were initially available on PointDrive (through a key Dedagroup sales team member’s LinkedIn profile) with sponsored LinkedIn promotion to build interest. In burst two, social cards were designed to push eye-catching messages (e.g. preparing for London Fashion Week) driving interested parties direct to Dedagroup’s website – where the full case studies were gated, again to capture leads. 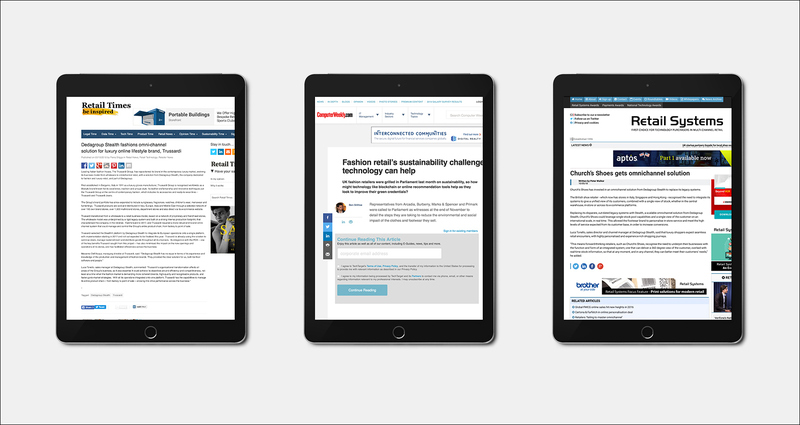 The third (6-week) burst of the campaign involved thought leadership articles being sold into the press, and a series of blogs utilising the case studies, fully supported by PR. As well as UK impact the Fieldworks team was able to leverage the existing content from the Trussardi case study, for the German market, with great results. A total of 29 leads from prospect companies were generated, including Jimmy Choo, Burberry, Top Shop, Alexander McQueen. In addition, to maximise on existing blog content, Fieldworks developed thought leadership articles. Additionally through feature tracking, Fieldworks secured coverage in Computer Weekly in an article titled ‘Fashion retail’s sustainability challenge and how technology can help’. “We appreciated the methodology and the well-planned execution of this campaign, which was delivered on time and on budget. The outcome has meant that Fieldworks directly helped us enrich our brand position and progress our new business strategy. Most importantly, the campaign helped us position our solution as a powerful tool in the UK and wider European retail markets, where it’s often a challenge to attract the attention of retail decision-makers.